Prime Minister Justin Trudeau denies he dropped support for a second mandate for Michaë​lle Jean as the head of la Francophonie to bolster Canada's bid for a seat at the UN Security Council. 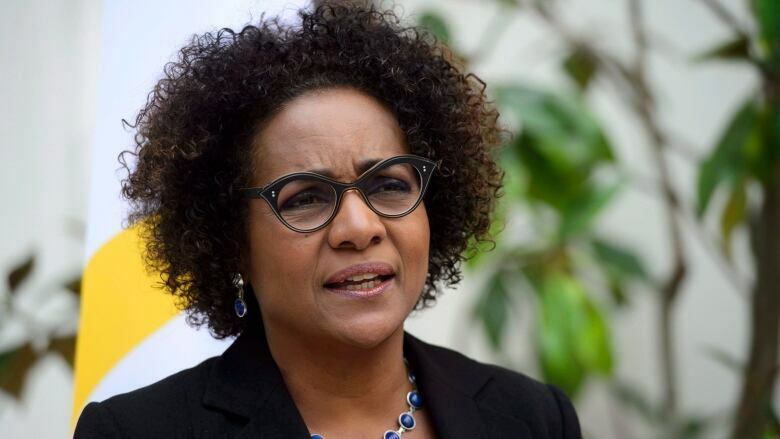 Prime Minister Justin Trudeau denies he dropped support for a second term for Michaë​lle Jean as the head of la Francophonie to bolster Canada's bid for a seat at the UN Security Council. Jean lost her attempt to stay on for a second mandate as the organization's secretary general, as member nations opted for Rwanda's foreign minister to take up the mantle going forward. In a closed session Friday at the organization's biennial summit in Armenia, members of the organization of French-speaking nations chose Louise Mushikiwabo to replace Jean. Trudeau said Canada had supported a renewed mandate for Jean, but it became clear that she did not have enough support to win. "We recognized that, and it's a question of simple math, that if there is an African consensus around a particular candidate, we would respect that consensus which would mean that there would be someone else who would become the secretary general of the Francophonie," he said. "That is simply the way things unfolded." Trudeau said Canada has been speaking with "African friends" and others about Canada's potential role at the world body. "We're always looking for ways for Canada to continue to engage on the world stage and certainly being a member of the UN Security Council for two years is a means of making sure that Canada's values, and quite frankly, the values and priorities we share with so many countries around the world are actively promoted and defended around the world," he said. The Security Council has five permanent members (China, the United States, France, the United Kingdom and Russia) and 10 elected rotating members. Canada is not currently on the Security Council, but is seeking a two-year term starting in 2021. Canada last had a seat on the Security Council in 2000. 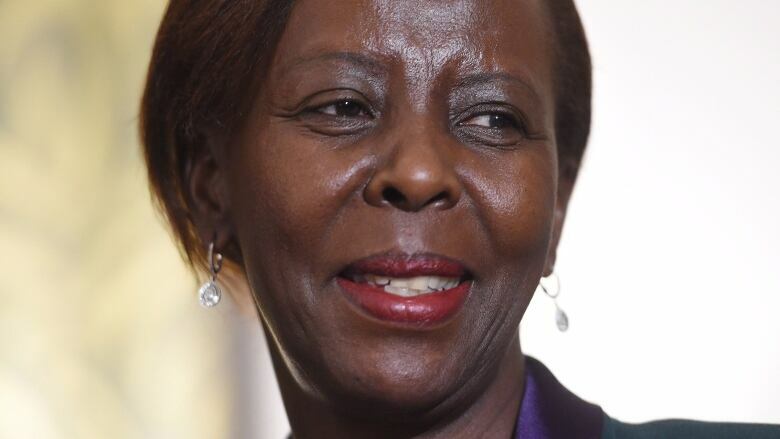 Mushikiwabo had the support of France and several African Union countries going into the summit, and both Canada and Quebec said they would back the "consensus candidate," pulling their support for Jean earlier this week. After a four-year term marked by controversy, the former governor general was considered a long shot for a second stint. But Jean refused to withdraw her candidacy as support dwindled. On Thursday, she made a final plea to member nations to hold onto the post without naming her Rwandan rival, warning them that rights and democracy shouldn't take a back seat to partisan ambitions. "At a moment when we march toward the 50th anniversary of la Francophonie, let's ask ourselves here in Yerevan, in all conscience and in all responsibility, on which side of history do we want to be," Jean said. And in 2010, French was replaced by English as the national official language in Rwanda, particularly in the education curriculum. "I think it was outright wrong," Kagame said of Jean's message. "To tell people who've made a choice that they are wrong — that it should be her and not everyone else — in that way, I think it displays the problem." Observers say Canada made a geopolitical calculation in choosing to abandon Jean in favour of the African camp. Canada also had to consider its relationship with France. French President Emmanuel Macron had backed the Rwandan bid in a move widely seen as increasing that country's influence in Africa.